I know, I talk about Smashbox alot. Partially because they are the first high end product I ever tried and also because their products do in fact look very lovely in photos which is what they are targeted to do. I can also say that I don't love every single one of their products, in fact there are plenty that I don't like at all. If I had to choose a product from their entire line that is my favorite you can probably already guess what it would be and that is their cream shadows. I feel like I have mentioned them a billion times in my posts but that is only because they are so fantastic! 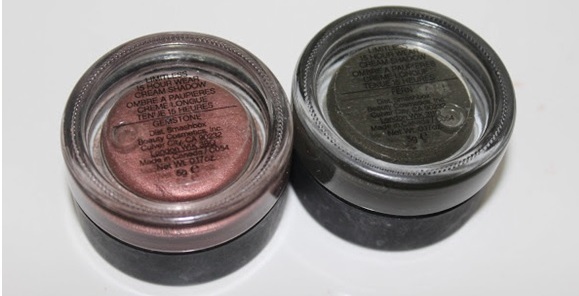 I also need to mention that I have tried plenty of cream shadows from many other beauty lines and although they work well, they just don't come close to what these are in formulation and color. The reason I like them so much is because they are ultra pigmented, go on super smoothly and last all day without moving around or creasing a bit! So I've pretty much decided that I will not stop collecting them until I have every single color and I have finally added two more to my collection this month.The three shades I have yet to own are iris, topaz and riches and I will do an update post with those swatches for you once I do. And if you think I am finally finished raving about these you are absolutely wrong- I will be doing a few video or blog eye makeup tutorials with some of them in the very near future because I literally cannot get enough of them and you will then be able to understand why as well. 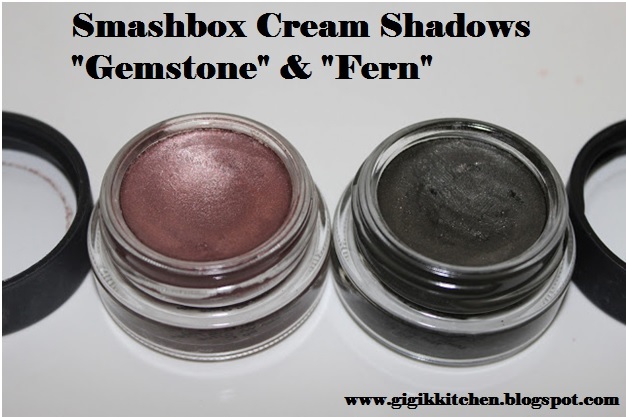 For the complete review of these cream shadows and to see the other colors I already had with swatches and details click here. As you can see most of these shadows have tiny glitter particles in them but I think it only really shows up in the lighter shades. Most of them have a matte finish to them, in fact there is only two that I've tried so far which are on the slightly shimmery side. Something to be aware of with these is that they do set pretty quickly so I always have to get to blending them out hastily. The thing I like most about them is that they are a quick reliable product for throwing on in a rush. There is one downside to these and that is the sanitary concerns which goes for any product that comes in a pot as you will be dipping your fingers into it which spreads bacteria. So I would reccomend using a brush to put them on for that reason and of course that will help with getting the look more precise like a cream shadow pencil would. 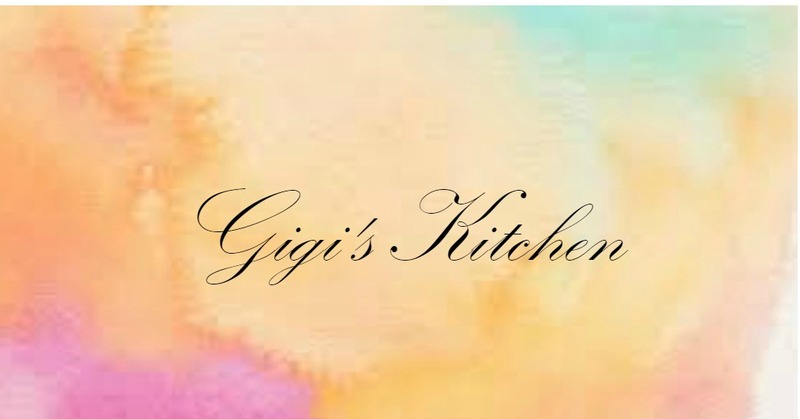 Gemstone is a light purple shade which is on more of the shimmery side compared to some of the others in this line. It makes for a great natural shade for every day wear. Fern is the darker olive green shade and I have to say it wasn't often that I would wear green on my lids but this one has totally changed that around. I've been loving wearing this as the base for a green smokey eye for nights out. Check out the tutorial I did for that sort of look here. These products can be purchased at Smashbox.com, Sephora, Ulta and anywhere else Smashbox is sold. Have you tried these cream shadows? What did you think of them? Have you tried cream shadows by other companies that impressed you? Answer those questions in the comments form below- I absolutely love hearing from you all!